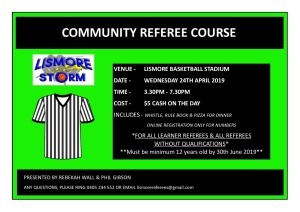 Lismore Basketball runs a quality program all year round that provides opportunities for players of all skill levels in a friendly family atmosphere. Aussie Hoops: Lismore Basketball Hold Aussie Hoops on Tuesday afternoons 4:30pm-5:45pm. Aussie Hoops is a program created by Basketball Australia For children between the ages of 5-12. 4:30pm-8:15pm. We have three different age groups available U12's, U15's and 18's and Under. information please contact Nathan Darby on 0410777572 or email lismorebasketball@bigpond.com. 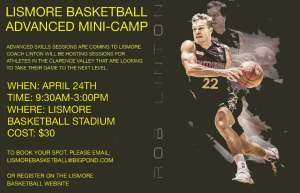 contact Nathan Darby on 0410777572 or email lismorebasketball@bigpond.com. 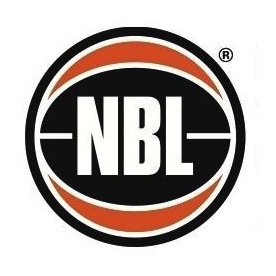 like more information please conatact Nathan Darby on 0410777572 or email lismorebasketball@bigpond.com. few months. Keep an eye on this space for more information. Lismore Storm Division 1 U18 men would like to thank the following companies for their sponsorship for their season in the 2019 Northern Junior league. For sign making, promotional signage and one of the leading screen printing companies in the North coast region contact pegasus for your next job. if you're in the need of new furniture, bed and Manchester, electronics, kitchen appliances, vacuum and Laundry appliances come and have a look at Harvey Normans. Whether it’s bulk steel for building or a piece of angle iron for a home project, we can cut it, supply it and weld it. We also supply aluminium, stainless and concrete products for a wide range of industrial, commercial and home uses. For a great 24 hour towing service in northern rivers contact alpine towing. For a great building service in industrial, educational, residential, health care and commercial building contact Greg Clarke Building. For a friendly local 24hour service to get you from A to B contact Lismore taxis. Plan your plan B. For a great Electrician at even a better price contact Luke Rhodes for a quote on your next Job. Find out whats happening at the workers club. For a wonderful family dinner, your next function or special events come down to the workers club. With thousands of designer frames in stock, offices in both Casino and Lismore and the latest technology to detect eye disease contact lamas and brown Optometrists for your next check up. For your next cabinet work contact the cabinet specialist at Ben lynch cabinet making. Thanks again for your generous sponsorship of the team. For all of State League after game function and entertainment Tatts is the only place to be.